Does it look maritime or alpine? The outdoor jacket from the Spieth and Wensky collection is definitely one thing: Super chic and very sporty. Colour blue. Lightweight stand-up collar with adjustable hood. Slightly tailored. Knitted combined with cotton-satin looks and the shoulder saddle is made of slightly roughened fabric. Practical zip on the front and on the two side pockets. Zipped small chest pocket. Also the cuffs are worked in the material mix. 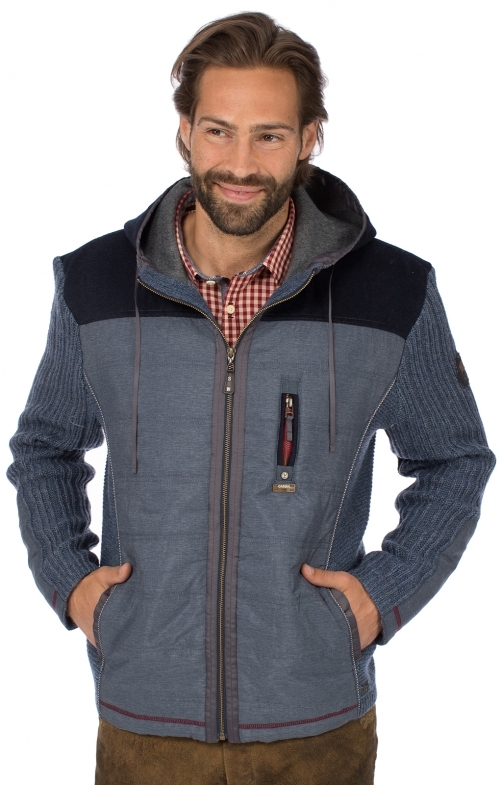 Functional and great looks characterise this unusual outdoor jacket.